Before we delve into how to make smoothies lets quickly jump into what they are and what they can do for us. 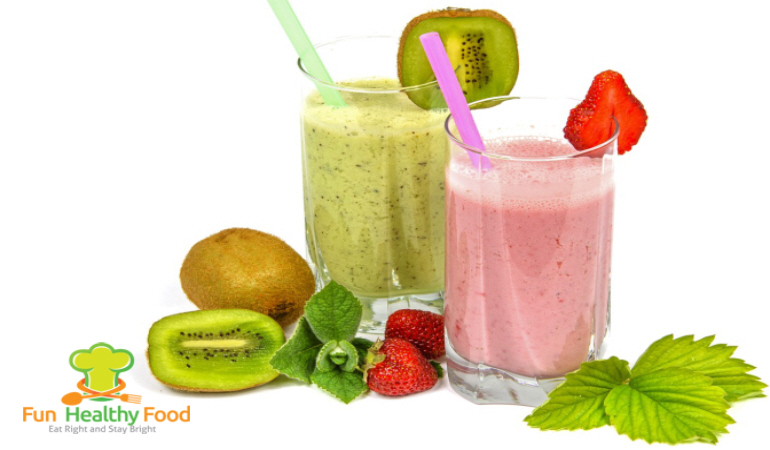 Smoothies generally contain fresh fruits and other assorted ingredients and are blended down to form a smooth drink. With health and fitness circles raving about smoothies, they are an extremely popular drink as they have great taste, are low in calories and provide a high nutritional value. Further on in this article I will outline why smoothies are so popular along with some of the ingredients that go into them. What do You Put in a Smoothie? 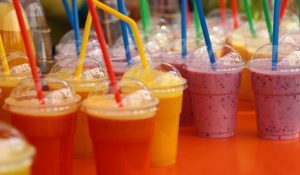 Mainly containing ice and fruit, smoothies are made from natural ingredients that have low calories and keep you hydrated. Some smoothies also contain fruit juice, nuts, seed, milk, yoghurt and protein powders making them high in fiber, vitamins, minerals and phytonutrients. All of these things can enhance your health and support your vital organs as well as a number of other great benefits. How Come they are Becoming so Popular? 1) They are Really Versatile: There are so many different flavoured smoothies you can make depending on what tastes you like. You can mix up the different ingredients to make creamy, crunchy, slushy, sweet, even fizzy ones so there is definitely something for everyone. 2) They are Cool if You Want to Lose Weight: Smoothies are full of fiber and not a lot of calories so you are likely to feel full after them and less likely to pig out on other stuff once you have finished it. 3) They are Basically Healthy: If you like to drink milkshakes or sodas these are a very good substitute as they are amazingly good for your health as well-being high in nutrients. 4) They Save You Time: Drinking fruits in liquid forms is a lot quicker than eating them whole so therefore if you don’t have a lot of spare time to sit down and eat your correct portion sizes of fruits and vegetables, this could be the way forward for you. 5) They are Very Portable: Some fruits like apples and bananas are fairly portable even though they can be quite bulky to carry. Fruits such as blueberries, watermelons and mangos are not so portable! However if you whip up a smoothie with these ingredients in you can take it more or less anywhere with you, just pour it into a sealable bottle of flask. Let’s get on with how to make a smoothie. If you are looking for a great way to add fresh fruit and vegetables into your healthy eating plan but want something that is quick and easy to have, then a smoothie is the way to go. You don’t need to fork out hundreds on one of those super-duper space age contraptions that blends, mixes and even makes your morning coffee for you, all you need is a decent blender or food processor, that is able to handle crunching up some ice. A big mistake a load of people make when they are trying to knock up a decent smoothie for the first time is they chuck a lot of what they consider healthy stuff into a blender, hit blend and watch as some big mass starts to spin around and clog up in front of them. Then they tip it out, have a bit of a taste, pull a few weird faces and tip it into the bin. If you are having a little grin to yourself there, I guess you have been through the process and know where I’m coming from. 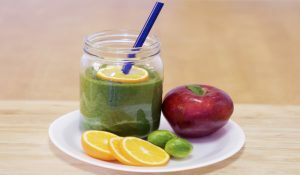 Whether or not you have made a smoothie before, as long as you follow the basic guidelines you will be churning out delicious meals in a glass in next to no time. Smoothies are a refreshing way to fuel up either for a meal replacement or a snack. They’re a fantastic option for anyone on the go, or for those who might not take the time to eat enough fruits and vegetables. If you’ve never made a smoothie before though, you might be wondering where to start and what to use to make your smoothie taste great. Read on to find out just how easy it is for you to make the best smoothie ever right in your own kitchen! To make a proper smoothie, you’ll need a blender. An immersion blender is another great option, especially if you’re making a smoothie for just one person or want to try out different flavors in smaller portions. Most smoothies are fruit-based so starting with either fresh or frozen fruit will lay the foundation. If you use frozen fruit, you won’t need to add ice to your smoothie. With fresh fruit, you’ll need to choose either one type of fruit or several kinds to mix together. 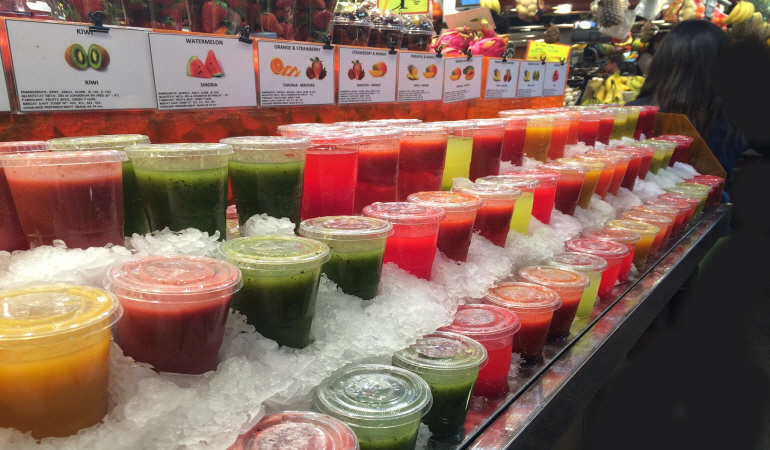 What kinds of fruit go well in smoothies? 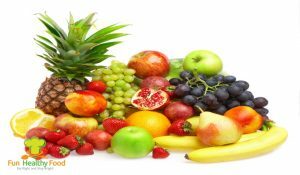 Strawberries, blueberries, bananas, peaches, apples, kiwis, mangos and raspberries are just a few suggestions. You can also opt to use fruits like watermelon, pineapple and orange but because they are much juicier, it will render a runnier smoothie unless you add something that will thicken it up like protein powder. You can mix and match whatever combinations suit your palate. With fruits like apples and peaches, you will want to peel them first. And all fruit that you use, with the exception of small berries, should be cut up into smaller chunks. For all fruits, if you’re making a serving for one, you’ll want no more than 1 to 2 cups of fruit total. That variance is to reflect the heartiness of the fruit. You’ll need less of denser fruits like bananas and more of fruits like berries to make the perfect composition. A smoothie needs some sort of liquid in it to add viscosity. If not, your smoothie won’t be very smooth. There are lots of options for what you can add. Water is great if you have nothing else around or don’t want to add extra calories. Milk including cow’s milk, soy milk, nut milk or even the kind for lactose intolerant people will add a creamier flavor. Tea can provide a boost of antioxidants and keep your smoothie from being too sweet. Conversely, adding juice can bring about more sweetness, however it can also add too much sugar. One great liquid that many people overlook is sparkling water. Adding this will give you a lighter smoothie that’s still full of intense flavor, especially if you opt for ones that have hints of lemon or lime to them. Want a thicker smoothie? Try adding Greek yogurt for a healthier alternative. Or if you’re feeling a bit indulgent, add ice cream or frozen yogurt. Just remember that if you add frozen ingredients, you won’t need to add ice. For all liquid agents, keep the measurements to about 1-1/2 cups. Less if you want a thicker smoothie. Some people use smoothies as a way of replacing an entire meal. If you’re one of those people, you can make your smoothie more filling by adding some protein. Protein powders are a popular choice and if you use one, you’ll want to use between 2 and 4 tablespoons. If you want to add protein without using a powder, you can add a cup of cottage cheese or 2 ounces of tofu instead. You can also sneak in some vegetables. If you have to force yourself to clear your greens off your plate, this is a fantastic alternative. The sweetness of the fruits masks the taste of the greens. Some to try are kale and spinach, both known for their amazing superfood powers. 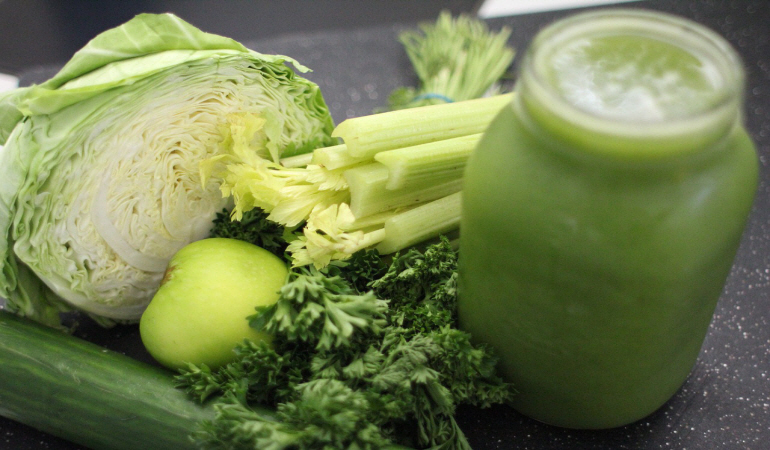 You can also give other greens a try including Swiss chard, celery or the greens from various fresh vegetables. Don’t add more vegetables than fruit though or you will lose that sweet flavor. Fruit and vegetables together should account for 1 to 2 cups of your smoothie ingredients. Want a sweeter smoothie? You can always add a little sugar to help it along. But if you’re watching your sugar intake, you can try using raw organic honey, agave nectar, or artificial sweeteners. For an all-natural sweetness booster, use bananas in your smoothie. You can add sweeteners to taste but start small with 1 teaspoon to 1 tablespoon. You can always add more but if you add too much, it will be hard to fix. While you certainly don’t need to add more, sometimes a little dash of seasonings can help bring out the natural flavor of your fruits. It’s all about your tastes, but you can try testing out adding a teaspoon of vanilla, almond, coconut or any other extract you’ve got. Or sprinkle some cinnamon which is great for digestion. Cayenne pepper, a pinch of nutmeg, or coconut shavings can all add more complexity to your smoothie. After you have added everything else you want, as long as you are not using any other frozen ingredients, add ice cubes. Three or four cubes are enough for a single serving. Secure your lid onto your blender and turn it on. Don’t use any setting higher than medium. You’ll want to wait until the blender starts tearing up your fruit first. Once that happens, you can turn up the speed. Some blenders even have a setting for smoothies or milkshakes, but if yours doesn’t, look for “puree” instead. The key is to start slow on the speed and then take it up after the blender has been working through the ingredients for one full minute. If you have ice cubes, once they are blended turn off the blender and let your smoothie set for a moment. You can use this time to test it and see if it needs any fine-tuning or if you still need to blend out any chunks. If you like it the way it is, pour it into a glass, garnishing with lemon wedges, sprigs of mint or anything else you can think of if you so choose. Enjoy! Smoothies are fantastic way to boost your vitamins, minerals and phytonutrients intake. They are full of natural ingredients that will help to increase your health benefits in a number of ways. Take a look at some of these benefits below. The majority of smoothies are based around fresh fruit, but some also include vegetables, nuts and seeds. Smoothies are jam packed full of fiber and this is needed in order to keep your bowels healthy. They promote bowel movements and minimize your risk of constipation as well as reducing your risk of bowel disease by getting rid of waste materials out of your bowels. By doing this, it is preventing harmful toxins from building up. All of the vitamins, minerals and phytonutrients that are present in smoothies help to support vital organs and cells in your body. If you have smoothies on a regular basis you are going to benefit from healthy skin, great brain function, strong bones, strong vision, healthy blood as well as reduced risk of organ disease and much more. Protein rich smoothies that contain things like Greek yoghurt, nuts and seeds etc are going to help you to build stronger muscles as protein is a key muscle building nutrient that constructs, maintains and repairs all of your body’s cells. If you drink smoothies that are full of protein you are going to be giving your muscles the fuel they need in order to stay robust, effective and healthy. The results of studies have shown a positive link between healthy eating and a reduced risk of chronic disease. Some studies have also revealed that you can reduce your risk by a third just from eating foods that are full of vitamins, minerals and phytonutrients. 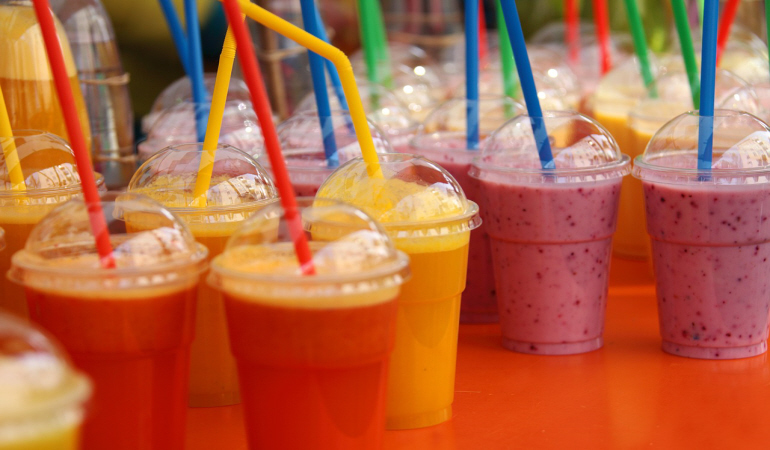 With smoothies being packed full of all of these, if you drink them on a regular basis you can help to protect yourself against cancer, diabetes as well as many others. The majority of smoothie recipes include ice and usually make up around a quarter of the recipe. If you are including fruits in them as well, these also contain a lot of water so if you drink smoothies regularly, you are likely to stay fully hydrated. Being hydrated has a huge number of health benefits in itself. As you can see smoothies can have a huge number of health benefits including keeping your vital organs healthy, keeping you hydrated and supporting a healthy digestion. So don’t you think it is worth investing in a blender if you do not already have one and start your smoothie transition today? With smoothies being extremely versatile, there are so many different ingredients that you can choose from when making them. The main food groups that go into them are; fruits, nuts and seeds, but within those alone are all different types! Have a look at these 10 ingredients below and that should help you narrow down your choices. Almonds should be used sparingly as they have a large amount of calories but they provide you with a lot of benefits. Just 1 ounce provides you with lots of healthy fats, magnesium, manganese, vitamin B2 and vitamin E with only 161 calories. If you like a thick and crunchy smoothie you should try adding some almonds. Bananas provide you with good levels of fiber, manganese, potassium, vitamin B6 and vitamin C. Again these are great if you like a thick texture to your smoothie as well as making them slightly fluffy. One large banana contains around 121 calories. 1 cup of blueberries will contain around 84 calories and they will give you a number of health boosting anthocyanins, fiber, manganese, vitamin C and vitamin K. If you have a sweet tooth you should use these in your smoothie as they are a great natural sweetener. These should also be eaten in moderation due to them being calorie rich, however they will provide you with plenty of copper, manganese, magnesium, phosphorus and vitamin B1. Around 1 ounce will add 150 calories to your smoothie and will make them deliciously crunchy. Greek yoghurt will provide you with a good source of calcium, saturated fat and protein. Use this to thicken your smoothie and 1 cup will add around 130 calories to your smoothie. Ice is a fantastic ingredient to add to your smoothies as it has 0 calories and will make them nice and light. Ice will obviously make your smoothie cool and refreshing which is just what you want on a hot summers day. If you are in the mood for a creamy smoothie you can add a cup of milk at around 146 calories per cup. You will be getting a lot of calcium, phosphorus, vitamin B2, vitamin B12 & vitamin D as well as protein and saturated fat. Pineapple with its tangy, tropical taste provides you with a good source of copper, fiber, manganese, vitamin B1, vitamin B6 and vitamin C. It has 82 calories per cup. If you like a bit of fizz then add some soda water to your smoothie. This has 0 calories so it will fill out your smoothie but at the same time reducing the total amount you are consuming. This is quite high in calories as it has around 100 calories per 29g scoop but roughly 80% of those calories will be full of high quality protein so all is not bad. It you are looking to build muscle this is a great addition to your smoothie as well as if you are looking to make one that is full of flavor without adding a load of sugar! Everyone has different taste buds and there are so many different ingredients out there that you can use and add to your smoothies. The 10 I have listed above are to give you a good start and then you can build up from these and work out what you like the taste of. If you are stuck for ingredient ideas, you can always look back at this article and grab some inspiration. Have a browse through these 10 smoothie making tips and tricks to make sure you get the tastiest, smoothest smoothie each and every time like the pro’s do! When we think of ice we think of water…but ice cubes don’t necessarily always have to be made from water. Be creative; make ice cubes with ingredients like, fruit juices, tea, coconut water etc. These are fantastic and tasty alternatives that will make a great addition to your smoothie. Although it is no one’s favourite job, cleaning the blender straight away will really help you. If you leave it until later in the day the harder it is going to get. You can wash away fruit puree in a couple of minutes if it is still moist, but if it has dried on a little you are going to have to do a lot more hard work soaking and scrubbing it. If you are in a super rush and simply don’t have the time, at least put it in soak! This may sound a little strange but herbs and spices go really well in smoothies and give it great flavor with little added calories. Try sweet spices like cinnamon and nutmeg, or if you want a little kick try cayenne or tabasco. Never pack your blender right to the brim or you are going to end up with an uneven and lumpy smoothie. Leave a little gap at the top so that you always get the perfect consistency. This is a really common mistake that a lot of people make. Smoothies are definitely good for your health, however the calories will soon add up if you don’t keep an eye on what you are putting in them. Keep note of the total amount of calories you are adding and if this is getting a little high, then take some of the ingredients out and add more ice. When you put ice in your blender first this is almost guaranteed to give you a watery smoothie and no one wants that! Put it in last and that will ensure the ice is perfectly chopped and it will give you a frosty and icy perfect smoothie. It is important to start off your blending slowly as this is going to prevent air bubbles from forming in your smoothie. This is turn is going to ensure that all of the contents is chopped evenly and efficiently. Most blenders have a variable speed, but if yours doesn’t, use a pulse action/function and blend in short bursts. Use added liquids like milk and fruit juices sparingly as if you add too much in one go this is going to make it very watery and is more difficult to reverse and make it thicker without adding more calories. Use your favourite ingredients in your smoothies by all means, however if you continue to use the same ingredients every time you are not going to get all the nutritional benefits that you could if you included other fruits and vegetables as well. Each week try some different ingredients and this will ensure you are getting the maximum nutritional boost that you can. Whilst organic fruits and vegetables are more expensive they can be worth it. They are going to make your smoothies taste a lot better as well as having more nutrients and less harmful chemicals. It’s worth keeping in mind these 10 tips the next time you make your smoothie as they can make a difference. If you make your smoothies tasty and delicious you are more likely to keep it up regularly and give your body the continuous vitamins, minerals and phytonutrients it requires.